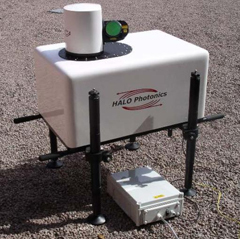 The Raman Lidar (RL) is an active, ground-based laser remote sensing instrument that measures vertical profiles of water-vapor mixing ratio and several cloud- and aerosol-related quantities. Lidar (light detection and ranging) is the optical analog of radar, using pulses of laser radiation to probe the atmosphere. This system is fully computer automated and will run unattended for many days following a brief (~5-minute) startup period. 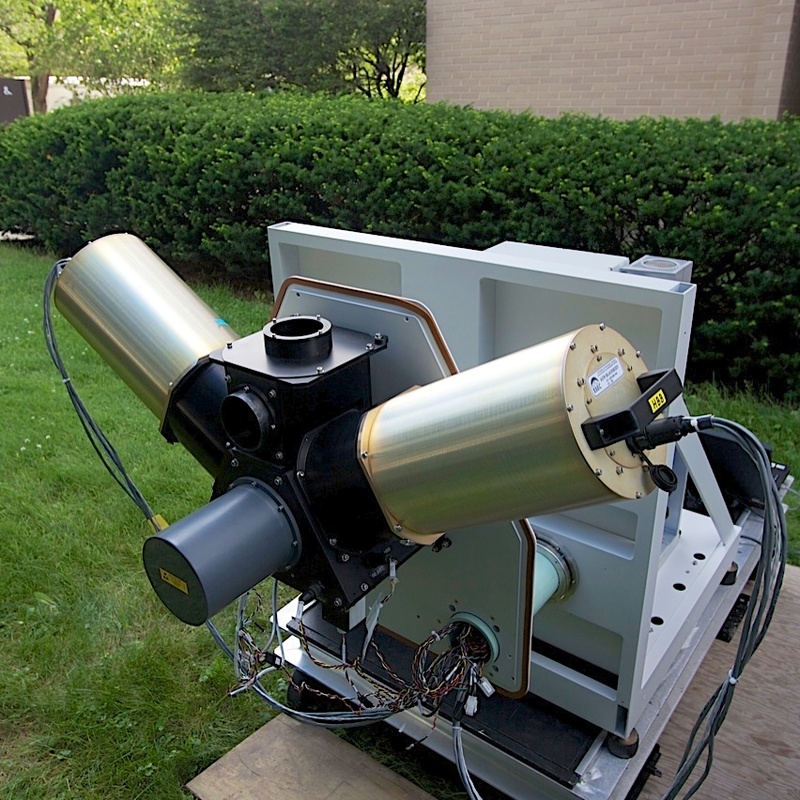 The AERI is a ground-based instrument that measures the downwelling infrared radiance from the Earth’s atmosphere. These upward-looking surface observations can be used to obtain vertical profiles of tropospheric temperature and water vapor, as well as measurements of trace gases (e.g., ozone, carbon monoxide, and methane) and downwelling infrared spectral signatures of clouds and aerosols. The balloon-borne sounding system provides in situ measurements (vertical profiles) of both the thermodynamic state of the atmosphere and the wind speed and direction. 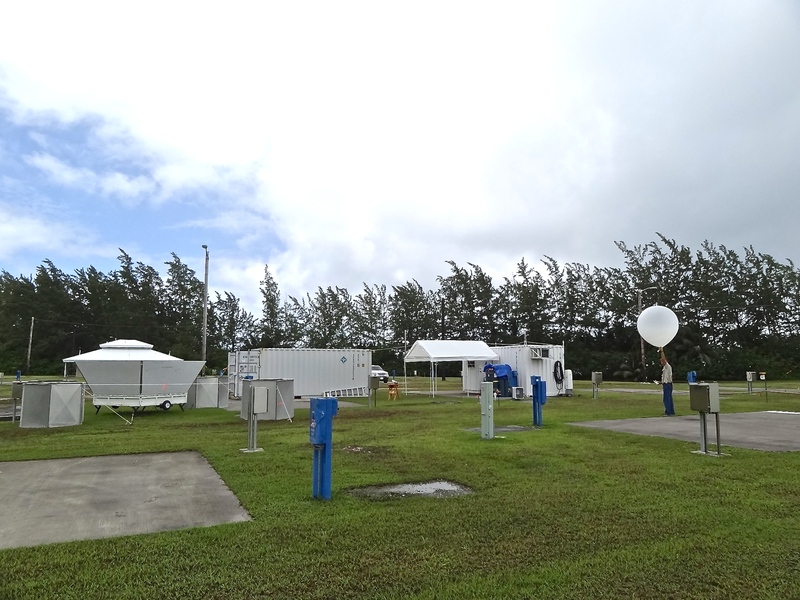 During some field campaigns, sonde operations from multiple stations around a central location with baseline measurements, like a mobile facility, can provide important constraints for model simulations. The 915 MHZ WP is a long-wavelength Doppler radar which detects the backscattered signals from turbulence-induced refractive index variations. The profiler thus tracks the motion of the turbulent eddies which drift with the mean flow, providing a measurement of the mean wind velocity. The Doppler Lidar (DL) is an active remote sensing instrument that provides range- and time-resolved measurements of radial velocity and attenuated backscatter. The principle of operation is similar to radar in that pulses of energy are transmitted into the atmosphere; the energy scattered back to the transceiver is collected and measured as a time-resolved signal. From the time delay between each outgoing transmitted pulse and the backscattered signal, the distance to the scatterer is inferred. 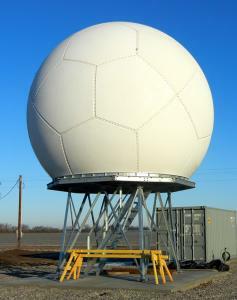 The C-SAPR is a C-band dual-polarization Doppler weather radar manufactured by ARC, Inc. The C-SAPR operates in a simultaneous transmit and receive (STAR) mode, meaning that the transmit signal is split so that power is transmitted on both horizontal and vertical polarizations at the same time. The C-SAPR also has the ability to transmit on a single polarization (either horizontal or vertical) and measure linear depolarization ratio (LDR). 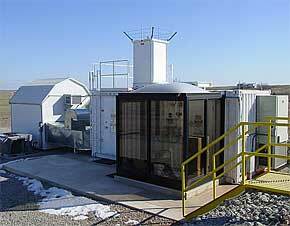 The aerosol observing system (AOS) is the primary Atmospheric Radiation Measurement (ARM) platform for in situ aerosol measurements at the surface. The principal measurements are those of the aerosol absorption and scattering coefficients as a function of the particle size and radiation wavelength. Additional measurements include those of the particle number concentration, size distribution, hygroscopic growth, and inorganic chemical composition. ARM's scanning cloud radars are fully coherent dual-frequency, dual-polarization Doppler radars mounted on a common scanning pedestal. Each pedestal includes a Ka-band radar (2kW peak power) and the deployment location determines whether the second radar is a W-band (1.7 kW peak power) or X-band (20 kW peak power). 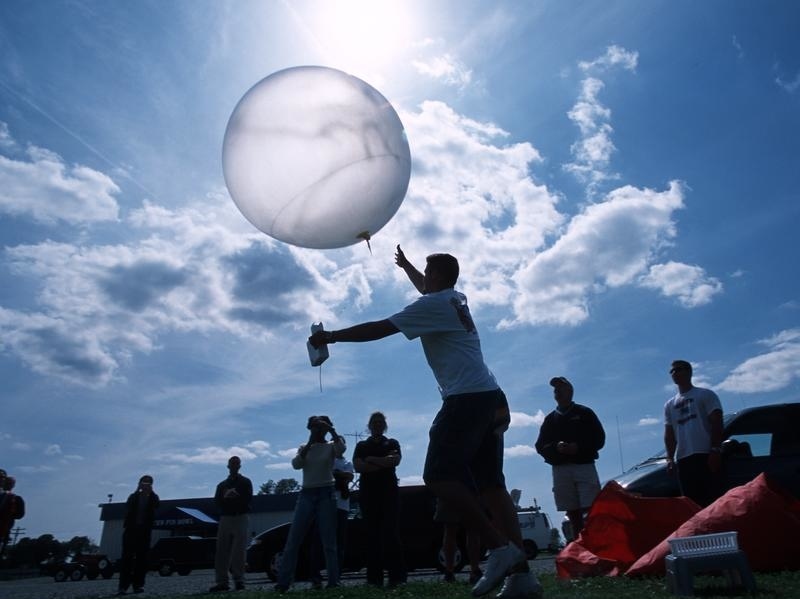 GAUS is a balloon-borne radiosonde sounding system. Through GPS technology, the GAUS measures high vertical resolution of temperature, humidity and winds at locations around the world. 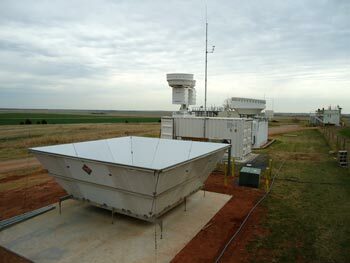 Each system includes a meteorological observing station to record thermodynamic data at the surface and the infrastructure to provide local data processing, display and communications. Data from GAUS can be transferred by phone, Internet or the Global Telecommunication System (GTS) to scientists at universities, other research institutions and operational weather centers. 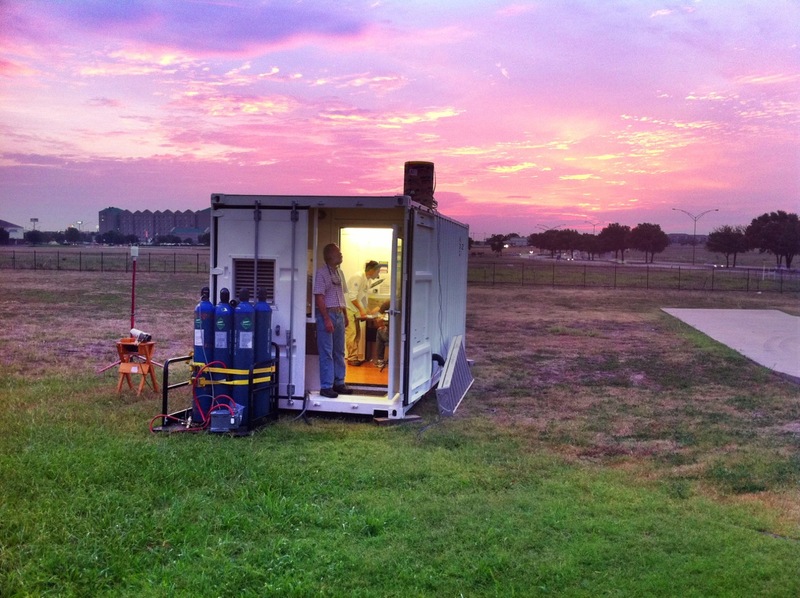 The NASA/Goddard Space Flight Center ALVICE mobile laboratory includes a Raman lidar system, a GPS for total column water, radiosonde and frostpoint hygrometer launch capability and a ventilated surface reference station. For PECAN, Raman lidar and GPS measurements are the focus. The Raman lidar makes use of Raman scattering in the atmosphere to measure various atmospheric properties, in particular water vapor for PECAN. This permits the study and improved understanding of mesoscale dynamics, warm and cold clouds and aerosols. The MPN (Modular Profiling Network) is a new development to extend the capabilities of the Integrated Sounding System (ISS). A center piece of the system in the 449 MHz modular wind profiler, a new scalable radar to profile the wind and structure of the atmospheric boundary layer and troposphere. The radar consists of a set of antenna modules that can be scaled to probe varying depths into the atmosphere. 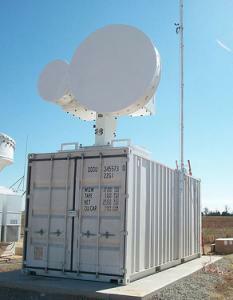 The PECAN deployment will utilize a 7-panel array to probe into the mid-troposphere. NCAR/EOL and Montana State University (MSU) have worked together to expand and evaluate the capability of a new technique to remotely measure atmospheric water vapor profiles. The collaboration has resulted in a next-generation instrument – built on the success of previous MSU diode-laser-based prototypes – that advances the technology to provide measurements over a broadened range of atmospheric conditions. The new instrument allows for unattended operations with a completely eye-safe beam. The Integrated Sounding Systems (ISS) is a self contained meteorological observing system at the Earth Observing Laboratory of the National Center for Atmospheric Research. The ISS combines surface, sounding, and remote sensing instrumentation to provide a comprehensive description of lower atmospheric thermodynamics and winds. 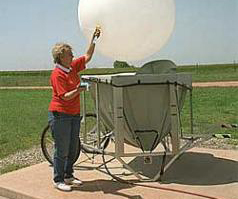 GAUS is a balloon-borne rawinsonde sounding system. Through GPS technology, the GAUS measures high vertical resolution of temperature, humidity and winds at locations around the world. Each system includes a meteorological observing station to record thermodynamic data at the surface and the infrastructure to provide local data processing, display and communications. The balloon-borne sounding system (SONDE) provides in situ measurements (vertical profiles) of both the thermodynamic state of the atmosphere, and the wind speed and direction. During some field campaigns, sonde operations from multiple stations around a central location with baseline measurements, like a mobile facility, can provide important constraints for model simulations. 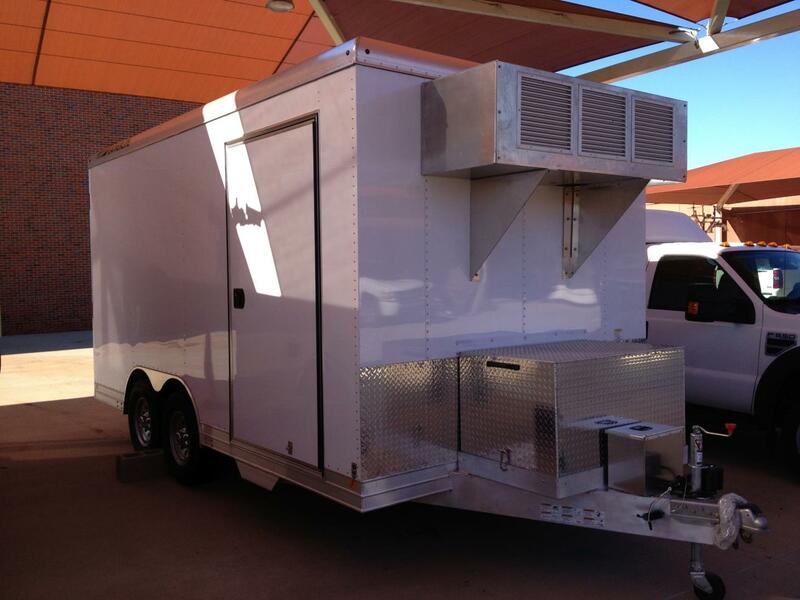 NSSL has a mobile, trailer-based boundary layer profiling facility using commercially available sensors. 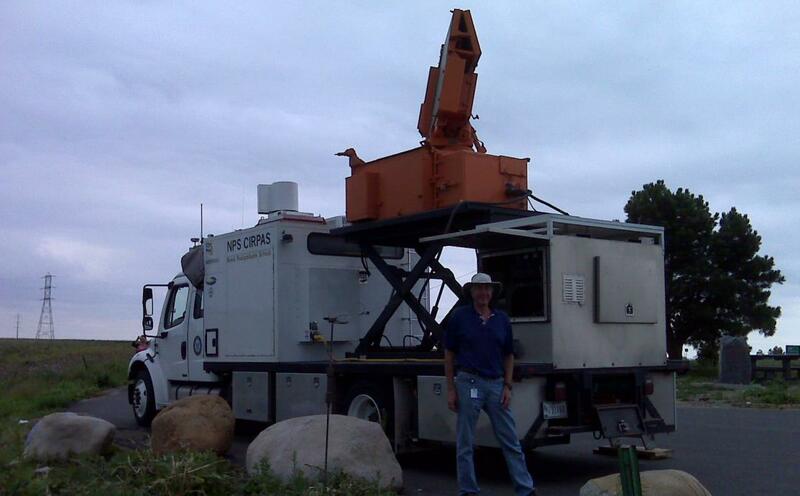 CLAMPS contains a Doppler lidar, a multi-channel microwave radiometer (MWRP), and an Atmospheric Emitted Radiance Interferometer (AERI). CLAMPS meets a NOAA/NWS operational and research need for profiles of temperature, humidity, and winds near the surface of the earth. The Mobile Integrated Profiling System (MIPS) is a unique ground-based remote sensing platform, which is used to study a variety of severe and hazardous weather phenomena by researchers in the Severe Weather Institute – Radar & Lightning Laboratories (SWIRLL) at the University of Alabama in Huntsville. The MIPS routinely participates in studies of land-falling hurricanes, winter cyclones, severe thunderstorms, lake effect snow, and tornadic environments. Space Science and Engineering Center (SSEC) scientists are once again taking their research on the road with a new mobile research laboratory. 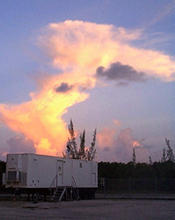 The SSEC Portable Atmospheric Research Center (SPARC) is specially designed to carry instruments to study the atmosphere and make surface emissivity measurements. MISS is the mobile version of our Integrated Sounding System (ISS). It is a suite of instruments on a large trailer towed behind a pick-up truck to profile the atmospheric boundary layer and beyond. 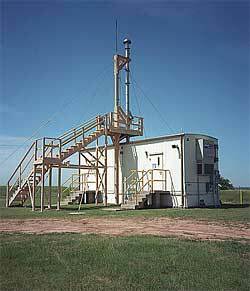 The instrument suite includes: 915 MHz wind profiler, radiosondes, surface meteorology sensors, and a lab cabin.